Welcome to a brand new post! I hope that if you're reading this, then, you're doing well! 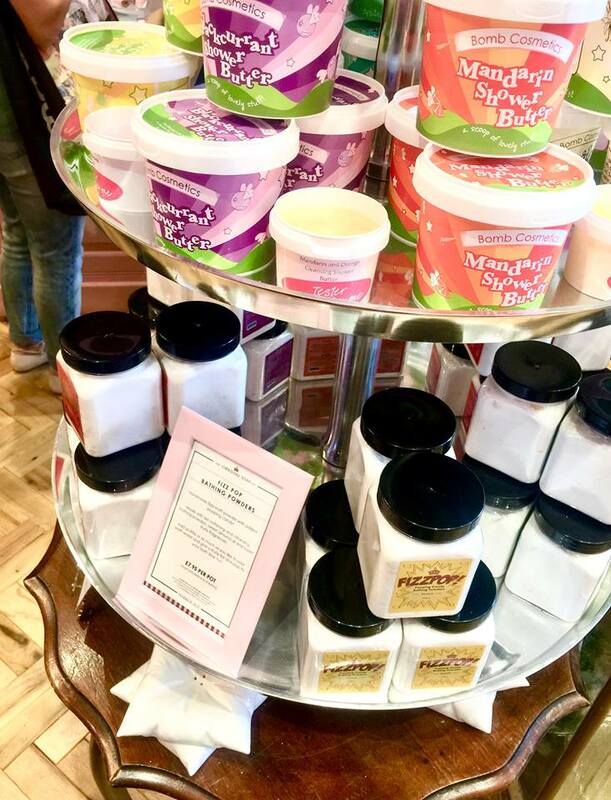 The wonderful guys over at Yorkshire Soap Company, invited myself and Luke, to their new Harrogate store opening, and, I thought that it was high time that I tell you all about the amazing store, and, the excellent event. Just before I get into the post, the internet is a free and wide open space, I know that certain blogs and blog posts can be for certain people, so, if you don't like the content that I am putting out in this post or my blog, then, simply click off and read something else. Please also check out Yorkshire Soap Company and Luke, via, clicking on their names throughout this post. Also, due to the new GDPR laws, this post isn't completely sponsored, but myself and Luke did get some goodies, but this does not mean that my opinion has been manipulated or swayed. Yorkshire Soap Company, was founded by two wonderful friends, Marcus, and. Warren. In 2004, whilst they were sat at their kitchen table, the duo decided to create soaps as gifts to family and friends. 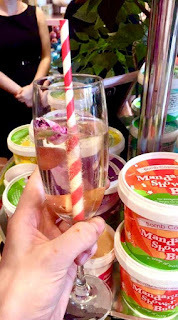 Using Marcus’ experience as a chef, they mixed and muddled ingredients to perfect a recipe. Unable to afford expensive soap moulds, the duo used what they had, which was, cake moulds and baking cases and created a world of scrumptious scemed soaps.Inspired by everything from artisan sweet shops to the travelling circus, Yorkshire Soap Company always wanted to construct a truly magical retail experience and create an irresistible and inviting space that everyone can enjoy and allow their imaginations to roam free. 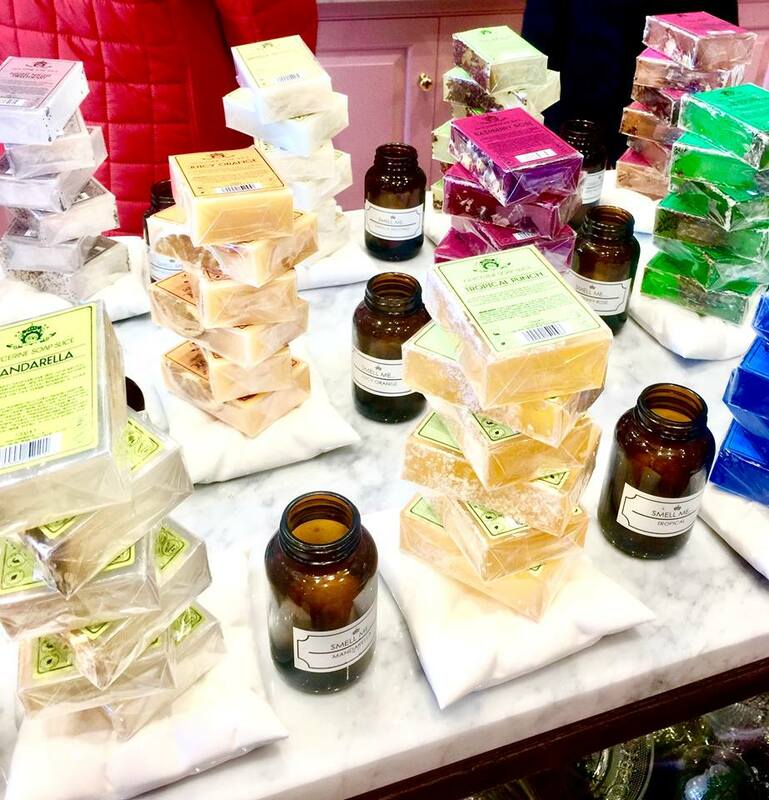 Yorkshire Soap Company is definitely the Wonka Factory of the Cosmetics world. They have a plethora of stores, including, Beverley, Halifax, Hebden Bridge, Knaresborough, Leeds, York, and their fresh out of the oven, new store, Harrogate. Myself and Luke, turned up at the gloriously bright doors of the store, we were greeted with smiles and joy, which honestly is a great thing to see after a long day of work. We started our night off by meeting the amazing founders of Yorkshire Soap Company, who were absolutely amazing! It's great to meet the faces behind a brand, and talk to them, about your favourite products that they've created. I then enjoyed an amazing Rose Cocktail, which, I think was inspired by the Yorkshire Lass range, that, Yorkshire Soap Company are well known for. This contained Cava, wonderful Rose syrup, Vodka and much more. We walked around to the superb soap bar which is located in the middle of the grand store. This soap bar is filled with bright rectangular blocked of soap abstractly stacked on top of each other, with a black pot at the side of each stack so you could smell what the soap smells like before you buy it. Some of the soaps that I picked up and ooh and ahhed at, include, Chocolate Orange, Burnt Orange, Tropical, and, Summer Fruit Blossom. Spring/Summer always screams floral and citrus so all of these scents were fresh, bright and to die for! After this, myself and Luke, enjoyed some delicious canapes, both sweet and savoury. My favourite canape had to be the little Macarons. 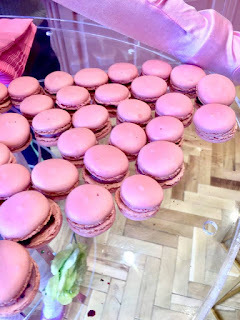 I love a good Macaron, not matter what flavour or size, and these were no different. They fitted YSC aesthetic especially as they also sell Soap in the shape of a Cake Slice. 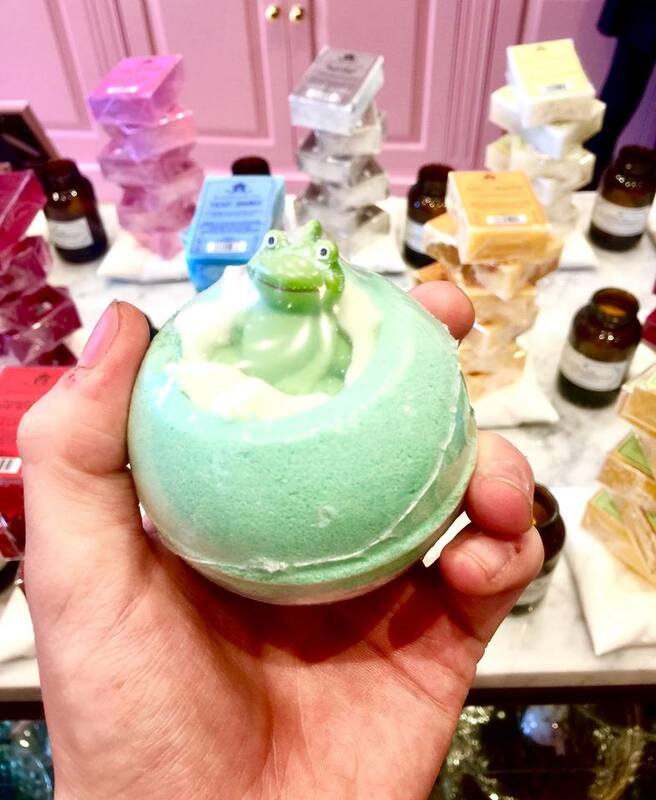 After picking up every bath bomb possible, we made our way over to look at two new ranges. 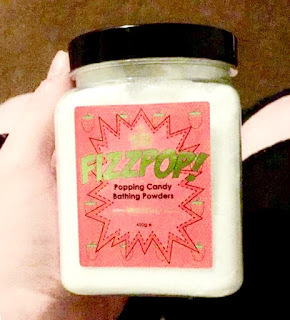 The first range, which I absolutely love the idea of, is the Fizzpop from Yorkshire Soap Company. Fizzpop is a range of Popping Candy Bath Salts which you put into your bath and they crackle when running water is applied to it. 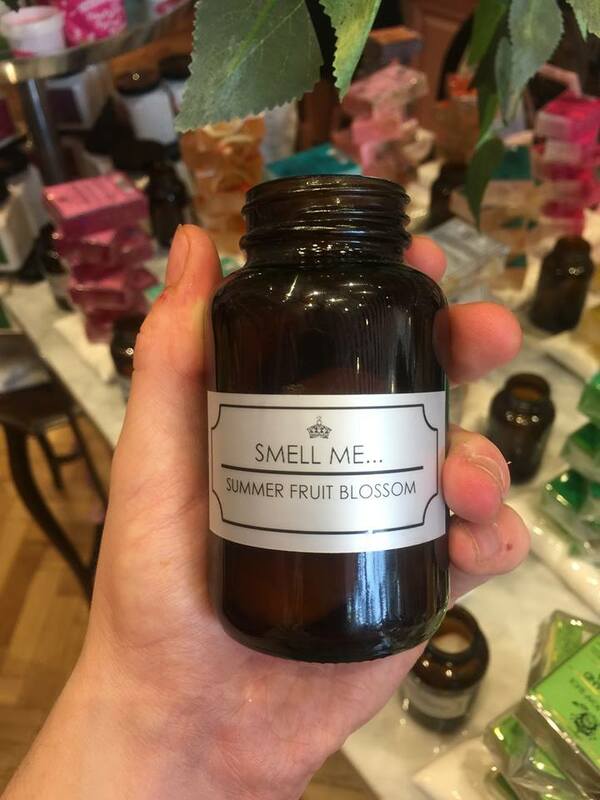 There are several scents including Watermelon, Banana, Strawberry and many more. They produce such a strong scent and quite a long crackle, that I have used on its own in the bath and absolutely loved it. The second range that is new to Yorkshire Soap Company, is, the Shower Butters by Bomb Cosmetics. This amazing product can be used as an in shower moisturiser to save you time once you've finished having your shower. They are packed with Shea Butter to ensure that the skin is thorougly moisturised. 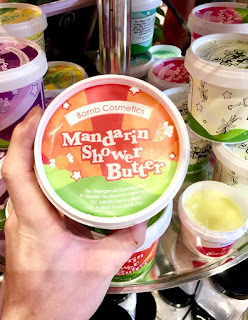 This product comes in a plethora of scents, including, Mandarin, Pina Colada, Blackcurrant, Mint Choc Chip and many more. I wipe a wet flannel over the tub of butter, and, honestly, its more than enough to cover my body so a little goes a long way! Last but not least, Bath Oils. Okay, so I know that some think that Bath Oils are a bit gimmicky. Who wants to basically nearly slip in the bath whilst being sat down? But honestly, for someone with dry as skin for the hustle and bustle of life (and lactose intolerance but lets not get into that), Bath Oils are an amazing concept. 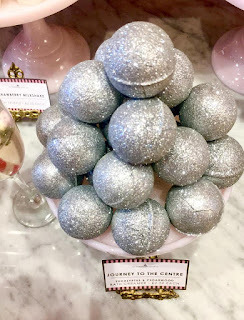 Bath Truffles (as they are known at YSC), come in a plethora of scents but ensure that your skin is moisturised for a long time once one has been used. I love smelling the Cola Cube one as it smelt like a dark sort of sweet and spicy Cola scent, and the Yorkshire Lass one, as it had a floral but sweet scent which meant that it wasn't too strong for those who aren't the biggest fans of Rose. I love it at this time of year, but I know that everyone is different when it comes to scents. We received goodie bags, and, bought quite a few goodies, which I will put in another post by Monday if I can sort everything I need to this week out. Have you ever been to Yorkshire Soap Company? Whats your favourte product? Let me know down below! I hope that you've enjoyed this post and that you're having a great week. I hope that you come back next time for another post. We were invited to this event, and, received goods or services for attending. All views, opinions and ramblings are my own.